Words of Kohelet, son of David, king in Yerushalayim. "Elokim DiBuR (spoke) to Moshe, vayoAMaR (saying), I am Hashem" (Shemot 6:2). In contradistinction to the pasuk structured as found above in Shemot 6:2, in Kohelet 1:1, we see only an expressive act of Gevurah (DiVRey) and of the Written Torah. The completing companion expression of Malchut and of Oral Torah are not overtly apparent in the entire pasuk. What does this mean? How are we to understand this? One can suggest that the pasuk is hinting to us, by the absence the completing companion AMR expression in the verse, that we, as individuals and as a collective, are to provide and be the Malchut of Sefer Kohelet. we can see that the first two words of Sefer Kohelet are setting us up to receive within ourselves (as individuals and as a collective) the teaching and shefa attached to this sefer (book). In other words, with the phrase, divrey Kohelet, we are set up to receive the Divine Essence riding the words of light (from Aur Ein Sof) in Kohelet from the Written Torah. Importantly, we are to become vehicles for the expression of Oral Torah. Ben-David. Here are the doors through which the Divine Will runs and returns through the "heart of the mind" (chasdei David hane'emanim [1, 3]) to deliver undistorted knowledge from the highest levels of Unity into Malchut. The word "ben" represents Malchut and active reception of "light" into, and then from Adam Kadmon and Atzilut. The word "David" represents the Divine method of action. The letter vav in the word David represents a "collapsed" form of the 4-letter Divine Name, the tetragrammaton. Door 1. The otiot (Hebrew letters) are the "ben" (Malchut) of the TaNTA expansion of the tetragrammaton (YH-VH). The TaNTA expansion consists of the ta'amim (cantillations), nekudot (vowel points), tagim (crowns) and otiot (letters). The is a pre-conceptual level of light and precedes thinking. It is the abstract pre-cognitive essence of the letters (stones) combining into words (houses of meaning) . This is at the level of Will within Adam Kadmon and the sefirah Keter . Door 2. "Ben" is also the Malchut of the ASMaB expansion of the tetragrammaton. This expansion is represented by the numerical values designated by the letters AB (72), SaG (63), MaH (45) and BeN (52). These correspond to the level of Atzilut and the sefirah Chochmah (Wisdom). This is a level of thought axioms . Taking the first four words of Kohelet (divrey Kohelet ben-David) together, we can see that the Divine Will (and all associated with that) is being directed through Adam Kadmon and Atzilut down to us. We then function to gather and express it, to thereby distribute it throughout creation. King in Yerushalayim. Melech clearly refers to the sefirah Malchut. Importantly, the word b'Yerushalayim decribes Malchut in a way that suggests synthesis and unity of the gevurot and chasidim in a manner similar to that of the akeidah. In other words, here is a situation "raised above the wood"  where the profound energy delivered into and received by Malchut does not "raise other gods". Here, the Oneness and Divine Unity spoken of in the Shema is actualized and brought into full harmony with reality. Now, taking the pasuk in its entirety - divrey Kohelet ben-David melech b'Yerushalayim - we can see that it pertains to "bringing down" Divine Unity from the Ein Sof (infinite light generated by the Malchut of Echad) through Adam Kadmon and Atzilut to us (interfacing Atzilut and Beriyah), who gather and distribute it without distortion to all creation. Clearly, we can also see that Sefer Kohelet is much more than "wisdom literature". We are talking about bringing the Light of Mashiach into revelation. We are talking about making real the phrase "on that day Hashem will be One, and His Name One" (Zecharyah 14:9). 1:2 Vanity of vanities, saith kohelet; vanity of vanities; all is vanity. Vanity of vanities ... here, we bring Divine Unity down and distribute it throughout the first level of creation , Beriyah (the world of the mind). vanity of vanities; all is vanity ... and bring Divine Unity into the next and last levels of creation, Yetzirah (the world of the middot) and Assiyah (the world of action). All creation is hereby sanctified and made One. 1:3 What profit has man in all his toil that he toils under the sun? Answer: Divine Unity and the Light of Mashiach (including our individual sparks and the collective) among all creation is the profit from all our toil. Rashi explains that the phrase "vanity of vanities" refers to the creation of the 7 days of creation. The heys of Bilhah, the handmaid of Rachel, represent powers of expression. The first hey represents the upper hey of the tetragrammton and the presence of the power to distinguish with mind, and to formulate understanding in the upper world of complex unity, paradoxically in the midst of chaos. The second hey represents the lower hey of the tetragrammton and the ability to translate that apprehended in the mind into an expression through malchut, in the lower world of plurality. This expression through malchut may be verbal, written, artistic or some other physical action bound up with the binah of Bilhah. Leah's name, having a single hey, the upper hey, cannot express that apprehended by the mind through malchut. Consequently, the binah of Leah remains bound up in the chaos and complexity of the world of Tohu, and is unable to be utilized in the world of Tikkun. From this, we can see that Bilhah contains the ability to rectify/utilize the great light of Tohu and to bring that great light of Tohu into the world of Tikkun and to utilize that great light for redemption. The ability to receive and produce an undistorted translation in the world of plurality from the world of unity (both complex and simple simultaneously), synthesizes the two worlds (like the akeidah did), creating a situation (as described in kabbalah) which raises one "above the wood" and brings down unity into plurality. This ability is related to the blessing following the Shema. This blessing is traditionally said in an undertone due to the danger of "raising other gods" in malchut (Adin Steinsaltz, In The Beginning) when bringing down light from the upper world into the lower world where evil is able to magnify disunity in malchut. Through Bilhah, rectification, elevation and unification of Yaakov's 4 wives (in the psyche of one woman really) is initiated. This is a secret of the shin of binah (the 4-headed shin). This is why Yaakov (Bereshit 49) worried that his bed was incomplete on account of Reuven moving Yaakov's bed from Bilhah's tent into Leah's. The number 12 indicates disunity, a disunity arising in consequence to Reuven's action. Echad (1 and 13) indicates unity in plurality - and initiating this reality is the work of Bilhah. The gematria of Bilhah is 42, the same gematria as Yocheved, the mother of Moshe. Reuven's disruption caused Yocheved (a function of the feminine psyche) not to be realized immediately (through the transformation of Bilhah) and "moved redemption down in time", with Yocheved being born generations later as a descendent of Leah. Consequently, Reuven's action had a similar historical effect on redemption as did Bilaam's action in a later story of Torah (BeMidbar 24) - it removed redemption from the present time into the distant future. The Druidic mystical alphabet of the Celtoi is called the Ogham. Ogham is pronounced "aum", like the Sanskrit word "ohm" and the Hebrew root word "alef-vav-mem". Ogham, aum and alef-vav-mem אום refer to the foundation of existence; to the ability to hold a "spark" of no-thing in physical existence. Each represents the emergence of light from darkness. Like Moshe Rabbeinu of Torah and the Dati of today, the Druidic class of the ancient Celtoi are givers and faithful guardians of the Law. 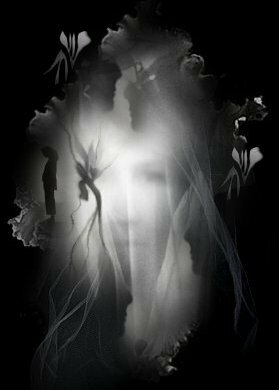 Jewitch Celtic Awen. Awen is a feminine noun and Celtic-Druid symbol. To HaMasovevet, it represents unified expression of the 3 expressive aspects of the Hebrew letter Hei in perfect commitment (אבת) to truth (אמת). These 3 aspects of unified expression are interwoven throughout the 3 expressive aspects of the soul's divine service as bard (psalmist), ovate (prophet) and druid (lawgiver, one's soulspark of Moshe). Blue symbolizes the Shechinah. White symbolizes focused clarity and renewal. The segol trope (3 dots) brings redemptive consciousness into actualized being. Awen form from The British Druid Order. In Ireland, Wales and Scotland, bardic colleges would use a technique for incubating tehilim (psalms) called the cell of a song. 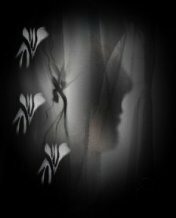 A bard-psalmist would be laid on a wattle bed in a closed, windowless cell ...after 24 hours, the bard would emerge from the darkness and write of that revealed there. Bringing light from darkness and cells of the Temple. No mystery today. No creative impulse. No silence. Just a cold stop marks this day. The long bitter journey slaps my face. Again. And I can't help but fail to wonder. I can't ask why. I don't care. I don't even not care. No pit. At least despair is something. I feel nothing. Oh, whatever. It isn't even profound. the inner dimension of Torah? 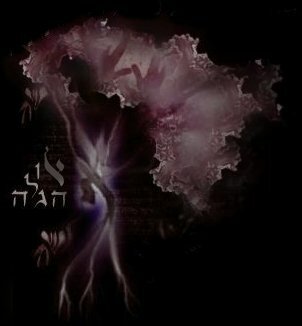 This unique aleph of emunah represents a synthesis of the worlds of tohu (chaos) and tikun (rectification), and is a complete shin - a shinan tam (Devarim 6:7). 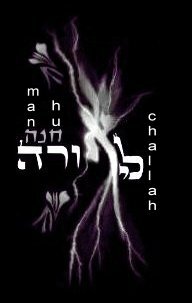 With 4 heads, 3 tails and 6 extremities, it integrates the coming world (olam haba) with this world (olam hazeh) to draw the future to come (of Imma Ila'ah) into revelation, expression and actualization sublimated within the unity of echad. This acts to raise reality back into the realm of the holy. Torah Of Chesed, Neshamah. 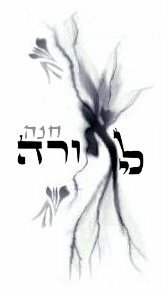 The Hebrew word ishah (אישה), meaning woman, is thought to be derived from the root word anash (אנש), meaning to "cause weakness". However, the neshamah of ishah may come into revelation and expression through the root חשה, meaning "quiet" and/or "refrain from expression or movement". Supporting this is the consideration that the word חשאי (derived from the root חשה) means "silently" and contains the letters of the word ishah, except that the ה of ishah is a ח in the word "silently". Thus, ishah describes a situation where a "once silent woman" (unable to express Torah) becomes opened (ה <- ח) to expressing it dimly through the lower hey of malchut, without the upper hey of binah (expressive "secret" understanding). This transformation of woman is enabled through a man's mitzvah of brit milah, circumcision of the flesh, being credited to the account of his true bashert. Torah Of Life, Chayah. Yet evolving from there comes itta (אתתא), the chayah of isha. Itta, a word also meaning woman, is derived from Aramaic. 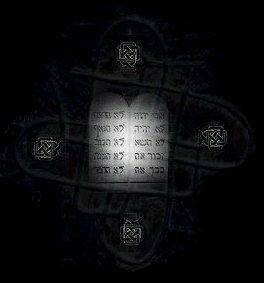 Itta describes a unique situation, one where a woman can express the secret mysteries of Torah: from ת <- א and from א <- ת , from keter to malchut (Ekyeh) and from malchut to keter (Asher Ekyeh), with both the attribute of mercy (ת <- א) and the attribute of justice (א <- ת). This evolution includes and encompasses all the mitzvot of Torah, both the positive mitzvot (ת <- א) and the negative mitzvot (א <- ת) into one mitzvah equal to all the mitzvot (ner Hashem nishmat adamah). This is the Torah of Life through which all the souls of Israel are interconnected. 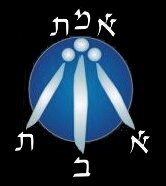 The sanctified avodah of itta connects the Torah of Chesed with the Torah of Truth through the Torah of Life. Torah Of Truth, Yechidah. Avodah performed bitul bimtzuit mamash fully draws out the itta transformation through a woman's mitzvot of challah, niddah and hadlikat nerot (ChaNaH). These mitzvot pertain to the circumcisions of the lips, ears and heart and ultimately complete the unification of the Torah of Chesed, the Torah of Life and the Torah of Truth to redeem the Divine Spark of yechidah into action and into the world of assiyah. This is the revelation of the Light of Torah and "shines from the good mouth" of the faithful one made in the Divine Image. Torah Temimah, Tafsaret. 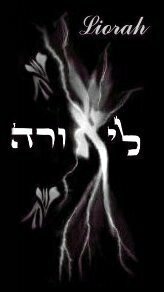 The redemption of the Divine Spark, the unification within Torah, and revelation of the Light of Torah is represented by the three tagim on each ט of tafsaret, טפסרט, the vessel of emunah (the unifying spark of Moshe in every Jewish soul). Tafsaret is a rare kind of Hebrew scribe with roots clear through into Sumerian mystery. From the language of ancient Sumer, סר means "write". טף means "board". The Hebrew verb root סרט carries the meanings of "script", "a tool for designing" and "marking". Tafsaret contains within its letters the letters of the root (ספר) of sofer (סופר, scribe). Yet tafsaret also contains two letters ט in addition to the letters which comprise the root word (ספר). These two letters ט have a combined gematria of 18 (חי) - where הי refers redemptively to chayah and yechidah. These encompassing and unifying soul levels thereby impart "unifying life" into the scribal writing of tafsaret. With a gematria of 358 tafsaret is the rectification of the attribute of judgment and of the nachash, the primordial snake. The unrectified nachash is the source of deceiving grace, the fear of insanity, the inability to discern truth, and blemishes of the sexual impulse. Unification, Ekyeh asher Ekyeh. The Good of Torah is revealed through the unification of mercy (ת <- א) and justice (א <- ת) through itta. Raised together "above the wood", these attributes are transformed into the unified essential attributes of truth and favor. This is the secret of the akeidah. Truth and favor are the primary consciousnesses of the Written Torah and the Oral Torah, respectively. Thus, the Written Torah and the Oral Torah are unified to reveal truth and favor through the the holy letters of all that will be, will be (א <- ת and א <- ת). Ekyeh asher Ekyeh. A woman with a name. This is the feminine path of a sacred scribe, טפסרט, the evolution of woman and contains the secret to actualizing Echad. When the Holy One was about to perfect the world, all of the letters of the Aleph-Beit were playing together. For six thousand years the Holy One had contemplated how to do it, playing with thinking with them. When the Holy One stood to actually do it, all the letters presented themselves before the Holy One. Each letter, standing before the Holy One, wanted to be called up first, except tav and reish. Reish was used to playing second fiddle to beit, the blessed of creation (bereshit), and only desired to truly love - his whole purpose for being. And tav, used to being the last letter in the word of creation, was in the dark and couldn't figure out what all the desire to be first was about. You see, tav, the letter of truth, was in true love with reish, a letter so full of absolute clarity that tav felt sure that reish should be first. Surely, thought tav, the Holy One will see as I do that reish is naturally destined to be first, so reishit he is. But, the Holy One, had an eye only for tav and called her up. Thou art worthy and deserving, oh tav, but is the world kosher yet that I should make harmony first? For thou, tav, have been destined since before creating began to serve as a mark upon the faithful ones who have kept the Law from aleph to tav. And further, thou formest the conclusion of mavet (death), and therefore, thou hast been destined to formest the beginning of THE GATHERING into life everlasting. This also being true, how can I join thee, oh tav, to reish, the rasha? All the letters were silent in the face of the Holy One's simple question, thinking how tav was such an impudent fool to give up sole appointment to first place, for a rasha even. But tav, having the true chutzpah only a true fool posseses, faced the Holy One, saying, with a clarity so true, like a light from the darkness: reish is clearly only beautiful in the eyes of truth - see how much he desires only to truly love? Surely, oh Holy One, you must see the perfect truth as I do. The Holy One smiled and began perfecting the world with the true harmony of this one perfect endlessly true love. And then the Holy One granted both reish and tav the one united desire of both - to love truly. And then the Holy One gave them a place far from the demands of occupying first place in the plan of the Holy One - lost in the eyes of one another somewhere in Holy One's world, loving truly with one singular heart full of unextinguished essential peace. And now we can see that when it comes to making true harmony in the world - it's a job only true fools and rashas are fit to do. On 11 Adar-1 5757, I formally returned to Torah with a mikveh immersion, and under the supervision of a Beit Din. During the reception ceremony following the immersion, I was blessed by the supervising Rabbi, a kohen, with the birkat kohanim (priestly blessing) concurrent with the laying on of hands upon my head (the posture of semichah). 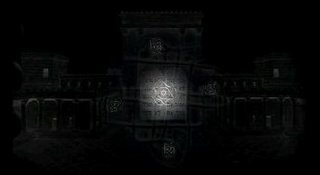 As the birkat kohanim is the third principle of hashra'ah (the immersive creative force of the Shechinah), clearly it took (as evidenced by the eruption of spiritual creativity since that time and documented, in part, by my website), unfolded, became enclothed (hitlavshut), evolved (hishtalshelut) and continues to evolve. Indeed, this testifies that I am indeed a true bat kohen - that my particular soul is of the supernal soul (supernal chesed) through which the creative blessing ably and truly erupts into manifest reality (asiyatic chesed). Importantly, still carrying today the unblemished memory of my soul's origin, taken together with and supported by Niddah 30b (particularly the statement if thou keepest it in purity, it is well, otherwise it is taken from thee) testifies that my particular chesedic soul is of pure atzilutic origin kept pure (otherwise, I would have forgotten from whence I came). It further testifies that I am truly a ba'alat teshuvah returning to Torah (having learned Torah in the womb, as each soul of Israel does), as opposed to being a convert. In other words, I was born with this soul (consistent with my family tree as I later discovered; that in my case, it was passed to me matrilineally through my mother's mother's mother). 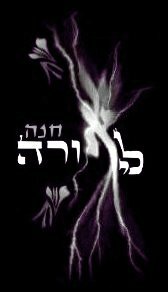 The birkat kohanim, a blessing of bestowal and infusion of the creative energy of the Shechinah, awakened and released my inborn potential to express it (the blessing and the curse of the bat kohen as described in Gemara Peshachim) in a powerful way (via the mystery of semichah). 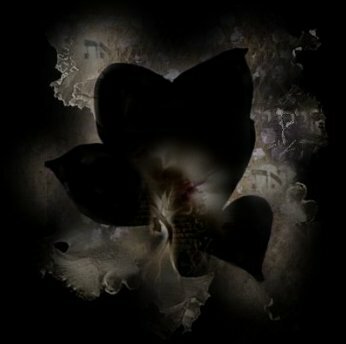 In my case, the first expressions birthed were surely chaotic, yet blooming from them comes evidenceof true mesirut nefesh - a physical birth in ignorance of my "Jewishness" in fulfillment of the divine will. 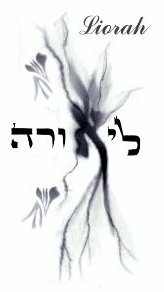 In mastering the chaos of those first expressions, and through developing my website, comes keter shem tov, the crown of a good name - Akvah (see below). Moreover, that this all came about through an act of semichah (necessarily the act of a kohen tzedek, Sukah 52b) testifies that the Rabbi and I are nirtzah, even then, and that our deeds and prayers are acceptable to Hashem (Likutey Moharan 1). Accepted favorably by Hashem, may the complete and final redemption speedily also come, in our day. The bat kohen is also represented in manifest reality as Bat Sheva (described in Torah as tovat, by the letter tet), whose hidden reality is rooted in the divine name, Akvah, associated with the right side of da'at and with the priestly function to connect heaven and earth. This function is performed through the power to bear opposites with the aleph, which unites (a function of tet) the shin of this world with the shin of both the coming world and of the future to come with truth (emet, with a reduced value gematria of 9, bringing clarity into focus with 9 blasts of the shofar). This is the missing truth in the fishy story of Sefer Yonah (Yonah 4:2). The truth "missing" in Yonah 4:2 and revealed now is necessary for redemption (Shemot 34:6) of the yetzer hara (as opposed to mercifully abrogating judgment every year) and its transformation into the shepherd of complete and final redemption. As Torah tradition teaches, an individual is not born with a yetzer hatov (commonly called the inclination for good, and positive), only with a yetzer hara (commonly called the inclination for evil, and negative). More precisely and essentially however, we know that the yetzer hara is not evil. Rather, it is a neutral drive to live. This is very good. If this is very good, what is the merely good of the yetzer hatov? What it is, is incomplete. Let me explain, speaking from my experience and Torah study. Kept in purity, the yetzer temimut is a neutral drive that "chooses life" to fulfill completely G-D's command to "choose life", as I did when entering physical existence concurrent with the secondary commands to "go and remember". Importantly, fulfilling this mitzvah (command) in a complete fashion IN PURITY is NOT positive. It is neutral. At the instinctual level, it neutrally "chooses life", fulfilling the divine will by doing so. The expression of its instinctual choice (life) is fit (kosher) and only seems negative or positive. In truth, it is neither negative nor positive - it is fit to balance the situation at hand in service of the divine will. The yetzer temimut, therefore, is an instinctual drive which remembers for life in a manner acceptable to Hashem, whether the intellect of the person understands the basis for his or her choices or not. The basic instinct of such a person is naturally driven to fulfill the divine will, even at the expense of its own desires. Active free-will choices against the divine will are footsteps upon the path which splits the one complete yetzer into two. The "split" of the yetzer temimut is finalized around the age of bar or bat mitzvah, when one receives his or her yetzer hatov, according to tradition. What this really means - that one gets his or her yetzer hatov - is that the yetzer temimut has now devolved completely into 2 yetzers, which up until that time, the split may have been only partial. The split of these 2 yetzers is reflected in the split of Yosef's blessing, separating into his sons, the evil Menashe and the fruitful Ephraim. Let's look at the names of Yosef's sons. Menashe - one who causes to forget. Yes, forgetting is a consequence of not keeping the yetzer temimut pure and intact. Forgetting augments the impure drive for life and causes one to seek gratification. Ephraim, fruitful as in be frutiful and multiply. Essentially, the drive to be fruitful is a drive toward reunification and wholeness. So, while one is made to forget, one is also given the power to fix the split and to reunify the yetzers. Baruch Hashem. And this is why the split yetzers battle - one seeks gratification (a lower reunification), while the other seeks completion (a higher reunification). So, we can see that they key to choosing life is the yetzer temimut. The yetzer temimut seeks neither gratification nor completion, it seeks to do the divine will. How is all this of importance considering that most people don't remember where they came from, evidencing a split yetzer? It is relevant to the children of this world, those still small enough to remember and those yet unborn. Most of us raise children on the assumption that they have only a yetzer hara (a selfish drive for gratification). But, my experience tells me that this is not true. Children, particularly small children, merely are choosing life in service to the divine directive within them. We, as parents, need to recognize the truth and not work so hard to "control" the yetzer hara, because the truth is, small children don't have a yetzer hara. They have a yetzer temimut. And we, as parents, need to figure out how to preserve it even as we provide a broken knowledge of good and evil with which our children must come to terms. May it be Hashem's will that we learn how to accomplish this speedily, and in our day.